How To Share your Preview Feed with your Team? 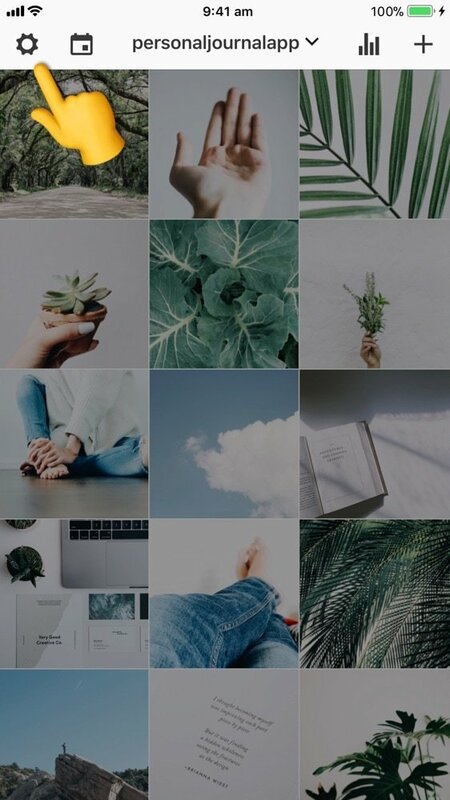 Need help designing a beautiful feed? 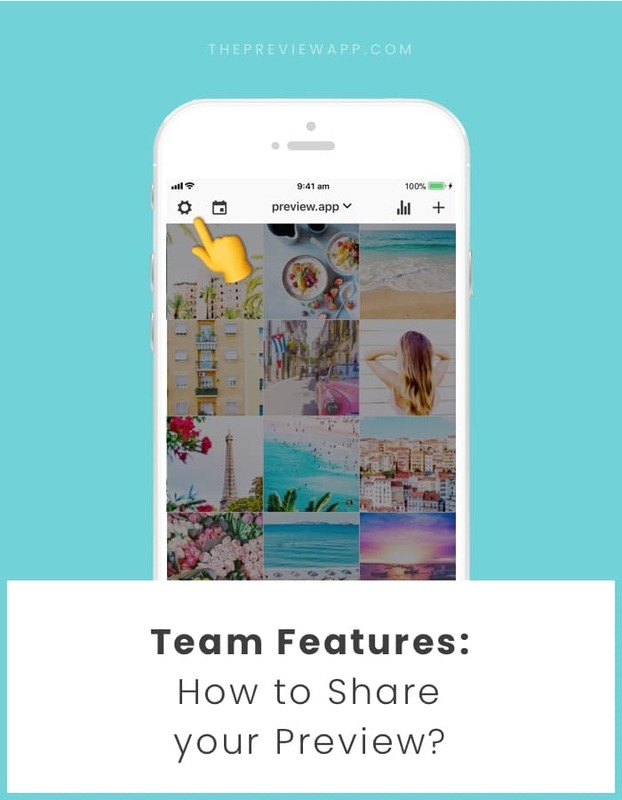 Do you want to share your Preview feed with your team? 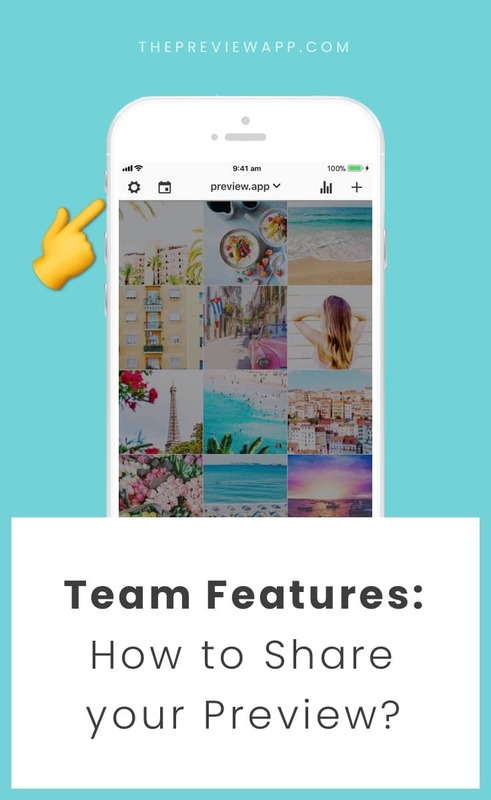 You and your team can work on your Instagram feed at the same time. 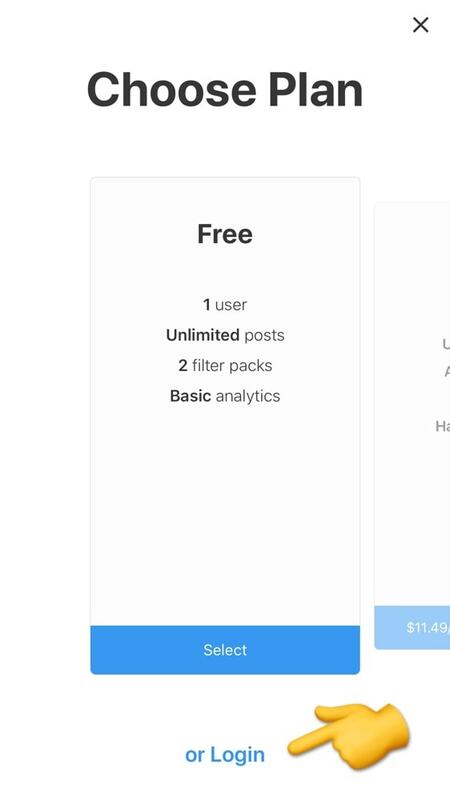 You can plan, design and manage your Instagram, edit your photos, rearrange the order of your posts, plan your hashtags, test your hashtags, repost, and much more. First, you need to have a Premium plan. If you don’t have a Premium plan, click here to see how to upgrade. Once you have a Premium plan, you can share your Preview feed with other people (or other devices). Please note that you only need ONE Premium subscription. Your teammates don’t have to pay anything extra in order to access your Preview feed. You will also be able to upload as many photos, videos and carousels as you want. Option 1: Share your Instagram password so they can login and access your Preview feed. 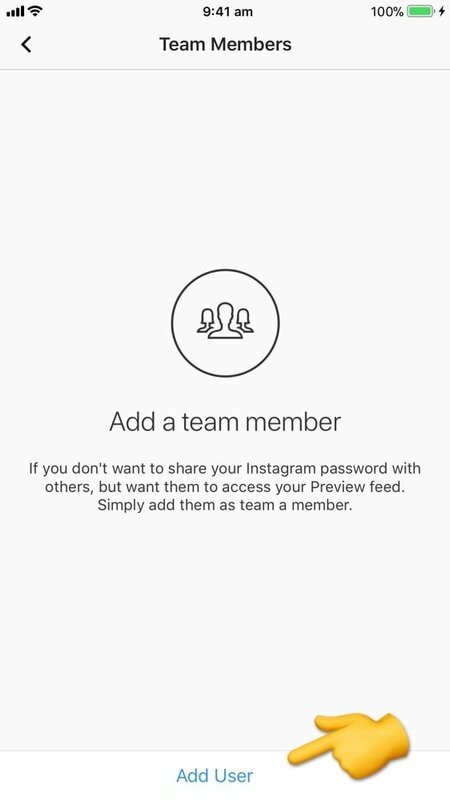 Option 2: Don’t share your Instagram password and invite them as a “Team Member”. I’m going to show you how to do both. First, let’s look at Option 1. 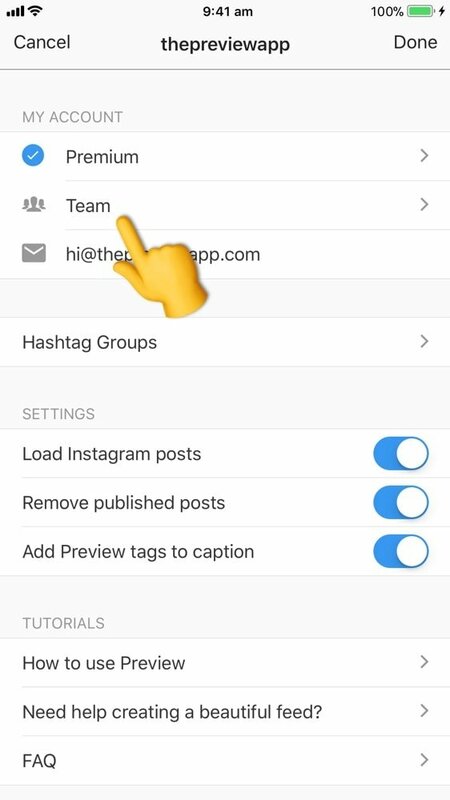 All you have to do is share your Instagram username and password with the person you want to give access to your Preview feed. They just need to download Preview and login with your login details. Now let’s look at Option 2 if you don’t want to share your Instagram password. 1. 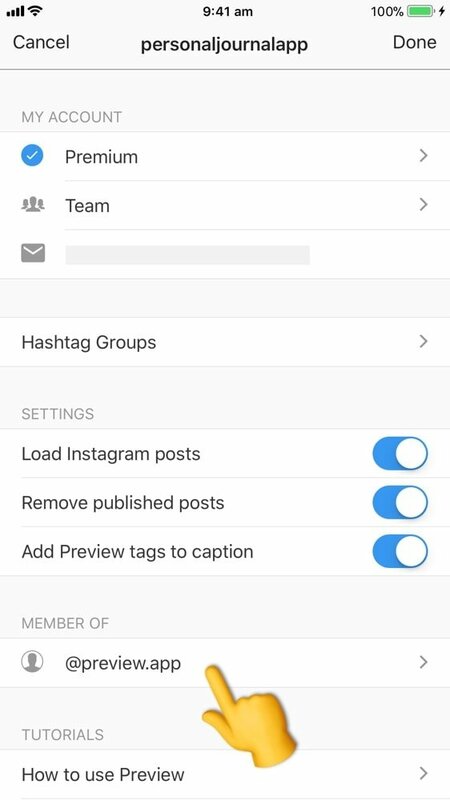 Tell your team mate to download Preview and create a Free account on Preview using their own Instagram account and email address. 2. Now go to your Settings in Preview, select “Team” and select “Add User”. 3. Fill the user details and make sure you enter the same email address your team mate used to create their Preview account. Edit Feed: Do you want this person to add, edit and delete your photos, rearrange them, write captions? See Analytics: Do you want this person to see your analytics? Receive Notifications: Do you want this person to receive the notifications when it is time to post on Instagram? 4. After you have added them as “Team Members”, tell them to go in the Settings in their Preview app. 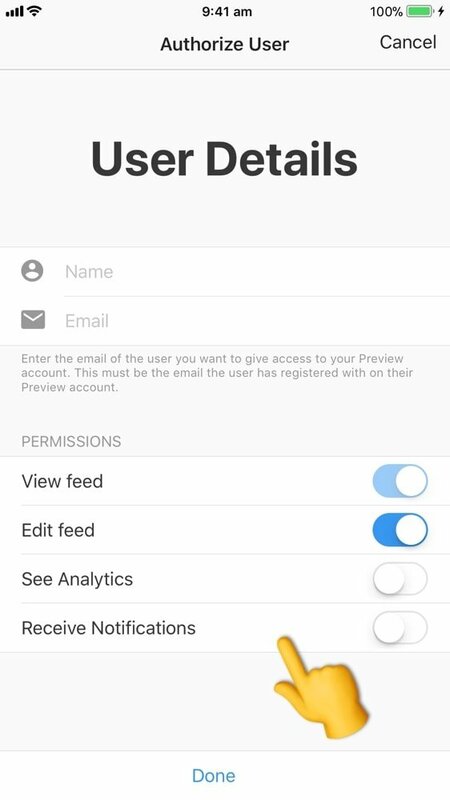 They will see a button with your Instagram username which they can use to access your Preview feed. That’s it! Have fun planning your feed together! Feel free to send us an email if you have any questions. Join over 1 Million Instagrammers!